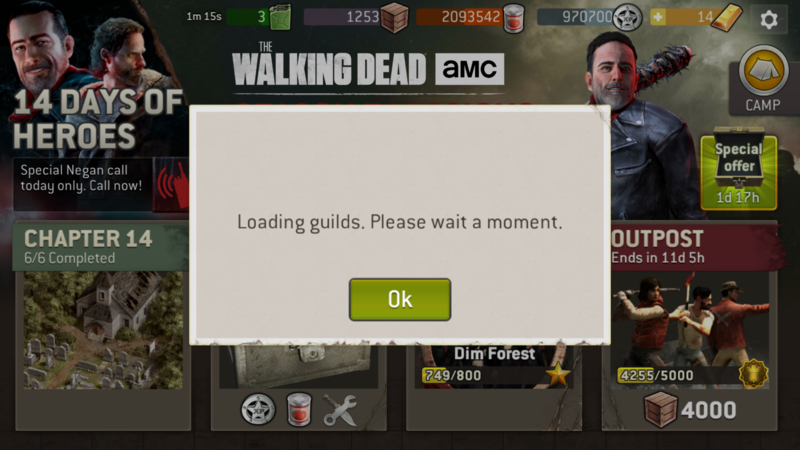 Guild not loading issue again! Could be traffic, I also got that message, put my phone down and came back later and got that message again but was able to get in a few minutes later. Not sure what's causing it but if others have issues, please post. I also cannot load guild - same issue as reported above. Thanks, all good on my end also.